Pretoria – The Health Professions Council of South Africa (HPCSA) says the implementation of the new Guideline Tariffs for medical and dental services will serve to protect the public and guide healthcare practitioners on the rendering of accounts in terms of the prescribed ethical guidelines. 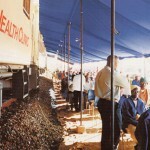 The implementation of new Guideline Tariffs followed the scrapping of the HPCSA’s Ethical Tariffs in 2008 and the subsequent declaration by the High Court invalidating the National Health Reference Price List, which led to the billing confusion prevalent in the healthcare industry over the last few years. In a media briefing on Tuesday, HPCSA Ombudsman Dr Abdul Wahab Barday said the need for the development of the Guideline Tariffs by the Medical and Dental Professions Board was based on complaints received from the public on the overcharging by practitioners in the absence of a recent guideline tariffs. “Even in complaints of overcharging, the professional board or the HPCSA’s Ombudsman had difficulty in adjudicating or mediating on these complaints due to the lack of a legally determined guideline tariffs,” said Barday. Over the last three years, 85% of the complaints received by the council were related to overcharging, including 27 cases of fraud and 219 complaints of overcharging from 2011 to date. · Require health professionals to keep a formal written record of the informed consent given by patients/clients in a format and language that is understandable to the patient/client. In terms of Section 53(1) of the Health Professions Act and rulings of the council, which suggest that where a patient is incapable of providing consent and there is an emergency to render a service, Barday said the practitioner may provide a service either by obtaining consent from the next-of-kin or without obtaining consent where it is impossible to obtain such consent. Barday, however, stressed that a practitioner may charge above the guideline tariff, provided that they have obtained informed consent from the patient or from the next-of-kin before services are rendered. He urged patients to take responsibility for familiarising themselves with the options and benefits from their medical aid scheme and in asking the practitioner what they will be charged upfront. The tariffs are applicable with immediate effect from the date of publication on the HPCSA’s website and will also be published in the Government Gazette on 17 August 2012.